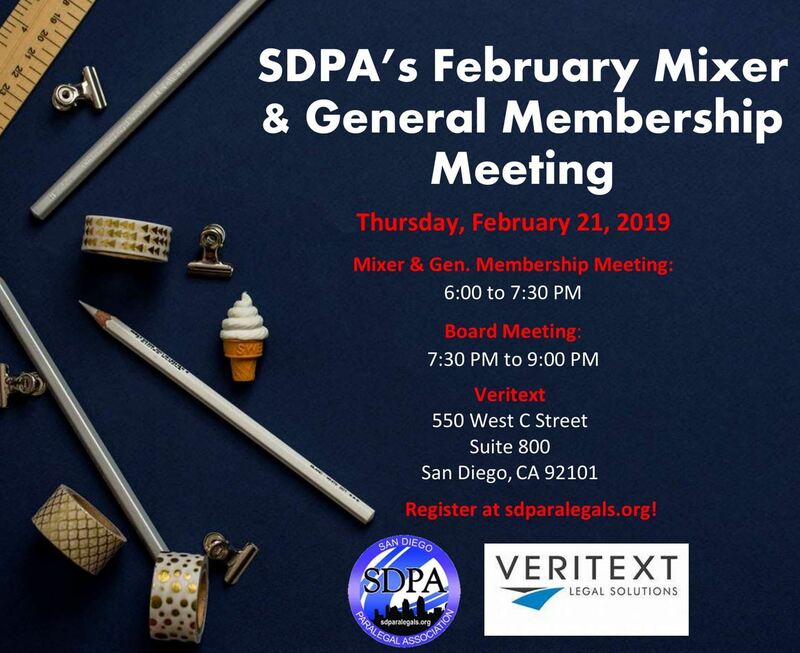 Please join SDPA's first mixer of the year! More details to follow. Please bring toiletries and/or diapers to support Stand Up for Kids!